After criticizing the French government on the political leaders of Italy, Paris has returned to the ambassador to Rome. It is believed that the cold war lasted for the last one month between France and Italy. Paris says Italian politicians and leaders are impartial allegations on France. France has told Italy that he should not take such a position that should make the problem more complicated, but he should try to create a friendly environment. In a statement issued by the French Foreign Ministry, it has been said that French is based on unnecessary and shameful attacks for the last few months. The statement said that the attitude adopted by Italy was not even before World War II. Differences are a different thing and toy is different with relation to another country to achieve the choice of election results. 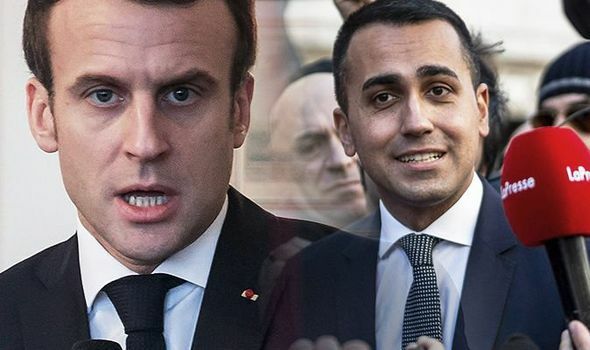 Two days ago, Italian Deputy Prime Minister Luigi Di Maio met a delegation of yellow vest movement in Paris, on which Paris expressed a tremendous disturbance. On the other hand, Luigi Di Maio said that yellow vest movement is a public movement and we support it. He accused France of increasing the refugee crisis in Europe. The French Foreign Ministry declared this statement of the Italian Deputy Prime Minister ‘unacceptable’ unfair and non-democratic. He said that Italy and France did a lot for the formation of the EU after the Second World War. And decided to go ahead by forgetting past differences, but the current leadership of Italy is pushing the relationship again to the past.